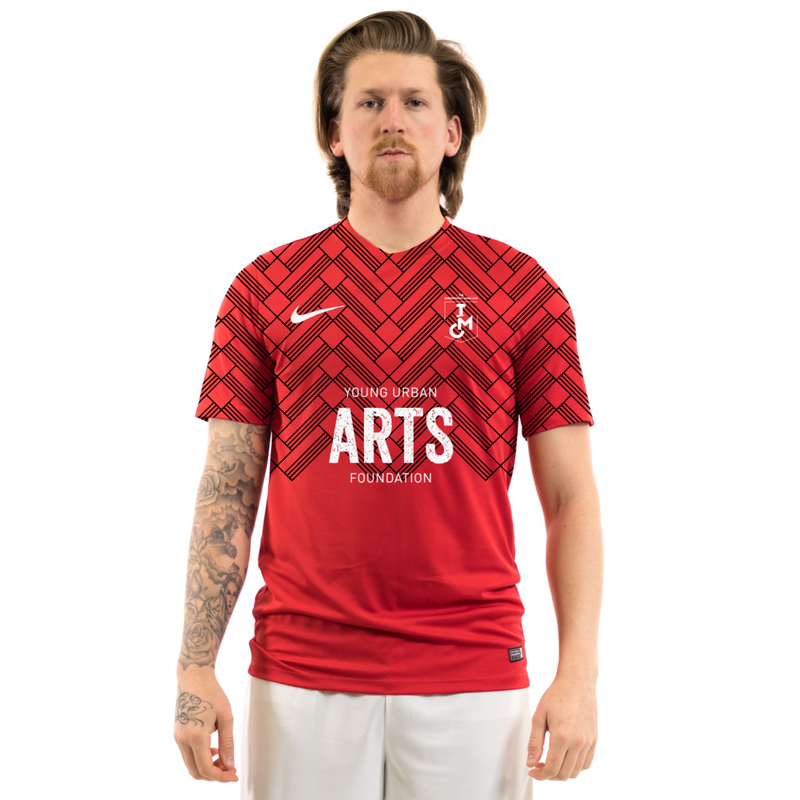 Luke Wren an AR man at Ninja Tunes approached me to design the Football Kit for the annual Independent Music Cup in London. Inspired by the awesome Nigerian National Kit and the host of patterned shirts prevalent in the 80's, Luke was keen to create a standout strip to set Ninja Tunes aside from the other participating Music Industry Teams, and to raise money for the Young Urban Arts Foundation – a charity dedicated to helping disadvantaged kids get in to the creative arts. I was invited to Ninja Tunes HQ to host a designing session with 4 young women, who at 16 years of age had already encountered more hardship than most of us experience in a life time. Coming from deprived and tricky situations, they had little formal education, but a bucket load of ideas. We worked closely together to design two strips, which were then printed locally in London. ‘Ninja Tune was amazing this was a massive massive massive thing for the girls to be there today. They came back to the school with the biggest smiles on their faces I’ve never seen them smile like that. So thank you for the opportunity - let ninja tune and Amelia know that that was life changing for them. Even though they were just in the building for an hour that completely transformed a lot for them. So thank you"
We also helped to raise over 6k for the charity.